Since last year I created an annual fall tradition of heading up to Apple Hill for a weekend to explore the areas apple orchards. As its one of my favorite times of the year. After first exploring the area in one day last year, I knew, this year, I wanted to try something a little different. Instead of overworking myself in just one day, I knew I wanted to find a place to stay overnight. But once inside, an entirely new story unfolds. A bit of a historical past. A place that holds so many memories from Placerville (an old, historic mining town/aka Hangman’s Town.) There are 3 floors within the historic hotel. Each floor having a different theme. 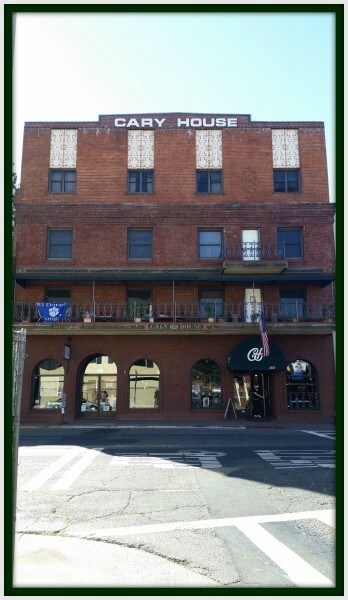 The 2nd Floor named after Wine Varietals, The 3rd Floor named after area’s Mines, and the 4th floor named after Historical People that had an impact on Placerville or stayed at the Historic hotel. 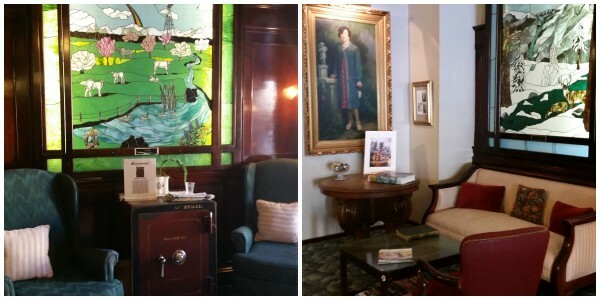 In the lobby area, lounge chairs, beautiful stained glass windows, and many historical items GREET you. Make sure to spend some time reading about the various articles found throughout the lobby. And the theme continues once inside the room. 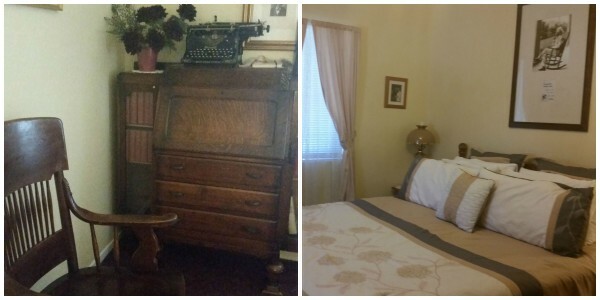 In our Mark Twain room, a beautiful historical writing desk sat in the corner (filled with Mark Twain books) and a very comfortable bed. They even transformed the refrigerator to look like an old fashion safe. 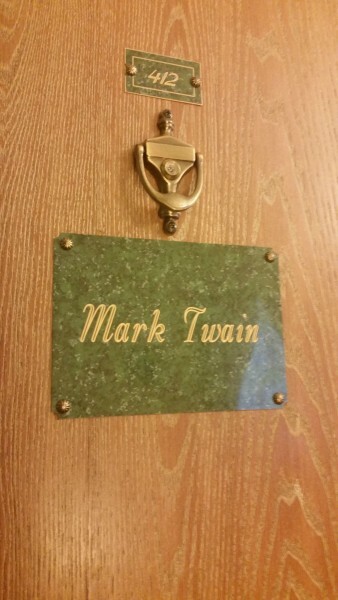 Pictures of Mark Twain were hung throughout the room. 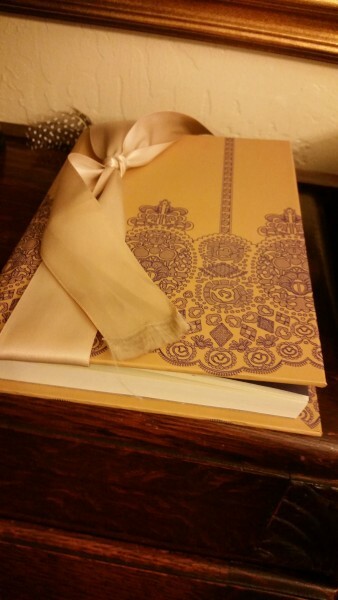 A journal where former guests of the room could write about their experiences. Rumor is there’s very friendly spirits that haunt this historic hotel. Guests are encouraged to share their stories about the hotel, about their stay, or any experiences they may have encountered with spirits. There is an elevator, but it’s VERY old. 2 People Maximum or 1 person with Luggage. Complimentary Parking given at Check Out to the lot directly behind the lot. Coffee is served from 6am to 9am every morning in the breakfast nook area, but JUST coffee. There are no Vending or Ice Machines in the Hotel, but water is given out in the lobby area. What a charming place to stay! I have never been to Placerville but have heard it is beautiful! Love the Mark Twain theme too.